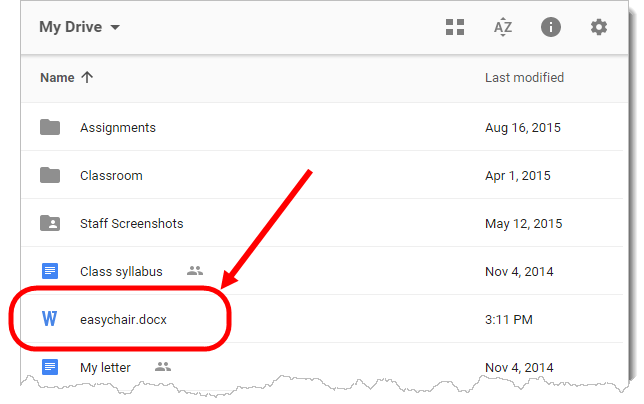 One of the advantages of using a "cloud service" like Google Drive to store files is that you can access them from anywhere, from any device. 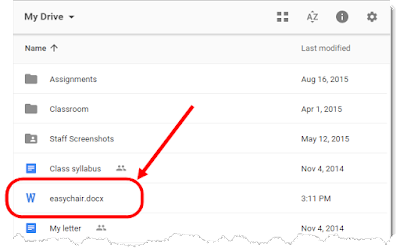 You may not have been aware that you can store all kinds of files within Google Drive (not just Google Docs, Sheets and Slides) and use it like a gigantic thumb drive in the cloud. 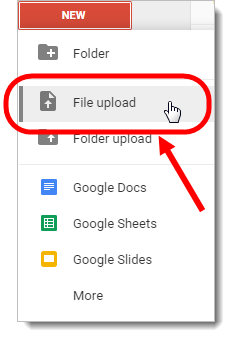 Once logged into Google Drive, click the "New" button and select "File upload"
Because we are teachers, of course we want to use our time as efficiently as possible. 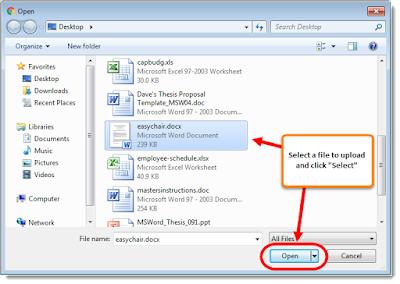 If you have entire folders of files that you would like to upload to your Google Drive, you can also upload those all at once. 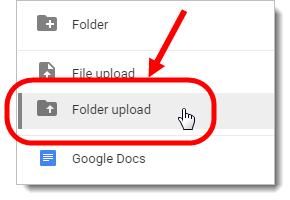 Google Drive will automatically create a new folder and upload all of the files into that new folder. The only caveat is that, in order to upload an entire folder to Google Drive, you MUST be using Google Chrome to login to your Google Drive (PC or Mac). 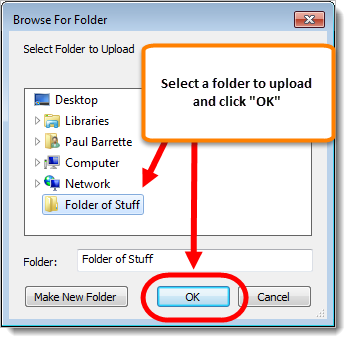 Using Internet Explorer, Firefox or Safari will NOT work. 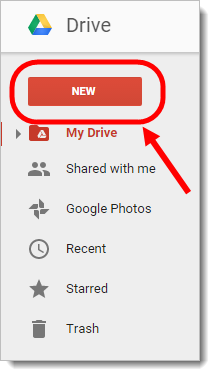 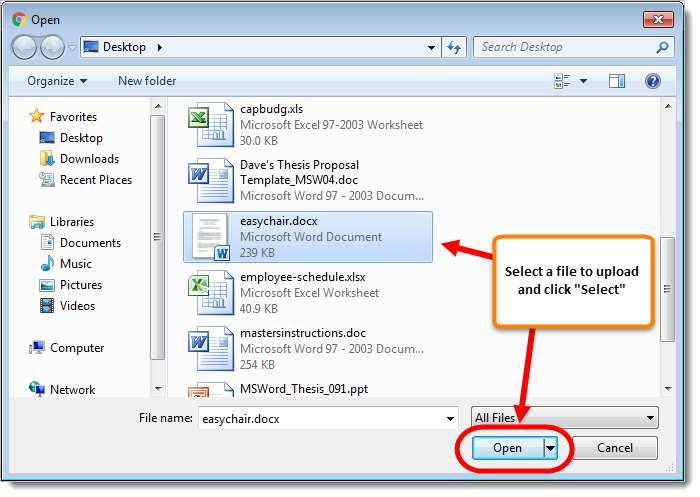 Once logged into Google Drive, click the "New" button and select "Folder upload"
Select a folder to upload and click "OK"